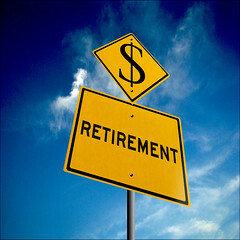 What do you think of when you think of retiring? Even if you are not old enough yet to consider it, I am sure you have some idea of the perfect retirement. Is it living on some idyllic beach watching the sunset with your Best Beloved beside you, or perhaps travelling the world with your BB, long lazy days in the garden or just sitting contemplating life? Well yes. I had all those thoughts too. 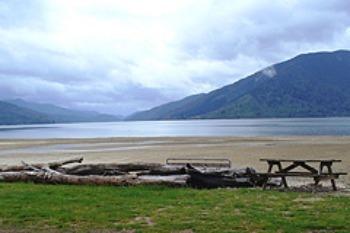 In fact at the ripe old age of 48 I “retired” with my Dashing (Not So) Young Scotsman to a secluded bay in the Marlborough Sounds in the South Island of New Zealand. That retirement lasted all of 9 months until we decided that we were really city people and came back to civilisation. If you are interested, I wrote a post Paradise,Phones & Phrustration about that retirement. As soon as we returned I quickly became involved again in the business world which I loved. Then my DYS died suddenly and I was cast adrift. I gave my daughter my business and spent time travelling and catching up on old friends. Fast forward some 13 years. I now assist a friend in her Real Estate business. this suits me very well; I know I am not a retiree and this keeps my mind active and my body physically fit. My friend has gone off to Peru for three weeks and I am looking after the business for her. As I am not a licensed salesperson I can’t handle any sales but I can discuss properties with clients, can do all the paperwork and generally work behind the scenes. Well since she left I have been working about 7 or more hours a day, and I have just realised how old I am. I have always rejoiced in working under pressure and long hours but I had forgotten..
Today, apart from liaising with the other sales agent who is handling the selling side, chasing up a lease contract, setting up an apartment for rental (including making beds etc), answering queries in her mail box, providing information to prospective purchasers, dealing with contractors and tenants, it was quite an easy day. Lunch was taken on the run (but that is often the case) and fortunately my (male) friend helped me in the apartment even taking on the role of laundry maid at one point. Then to top off the day he made dinner. How lucky am I? So “retirement” is not all bad. But between all this running around, the sport at the Olympics on the television, and writing my blogs, when will I have time to read the next Charlie Fox novel? “The bathtub was invented in 1850 and the telephone in 1875. In other words, if you had been living in 1850, you could have sat in the bathtub for 25 years without having to answer the phone.” ~Bill DeWitt. I read today’s post from the Good Greatsby and it reminded me of my most favorite Bob Newhardt skit – we always refer to it as Nutty Walt. Click here to view the video. Then, as often happens, after reading this post about phones my thoughts went to a time when a phone would have been very useful for me. My late husband had retired early at 56 and wanted a less hurried lifestyle. We looked around and we decided upon the Marlborough Sounds in the South Island of New Zealand. We had been to the Sounds many times with our boat and it seemed like an idyllic spot in which to retire. I was rather young to be considering this retirement thing at 48. However, we found a lovely house in a small bay with only four other houses. The house sat up above the beach with a path leading down to it. A perfect place to retire and to write my book. The book didn’t happen but that is for another post. At the time all telephone services in New Zealand were run by a Government Department. To get a new connection in the city took about 7 days if you were lucky. To get a new connection in a rural area took forever and ever. So, we moved to Paradise. And applied for a phone to be told there was a long waiting list and we had to be patient. Bear in mind that we lived some 60 kms from any town and the last 5 kms of the road was unpaved. I had never lived anywhere there weren’t shops and buses and people. It was quite a revelation to me. Anyway, back to the telephone. We managed with difficulty. Remember this is 1986 – few cellphones and very few people had access to the internet. No phone, no internet, no communication with the outside world. Very peaceful but frustrating. One of our neighbours offered the use of their phone if we needed it. So on a lovely Sunday while Robert was away further south playing bowls I was applying paint over the awful wallpaper in the master bedroom. And that’s also another story. I was surprised when Robert walked in as I wasn’t expecting him until the next day. He looked grey and obviously was quite unwell. The next morning he was worse. I ran to my neighbour’s and used their phone to call a doctor. He told me to bring husband in immediately and had to give me instructions as I didn’t know the town in which he was located. After driving the 60 kms with husband groaning at each bump and turn in the road, we arrived at the doctor’s house. He took my husband inside and left me sitting in the car. When Robert came out he said the doctor thought it was not serious and gave him a couple of pessaries. So we went home but in a very short time, he was writhing in agony. So another call from the neighbour’s house and I was told to bring him into the surgery. More instructions needed. Well to cut this long story short, the doctor took one look and declared “This man should be in hospital”. So with more instructions, to the hospital, we went. They admitted him immediately but as the only ward open to admittance on this Sunday was the Children’s’ Ward that’s where he went. The surgeon was called and he later told me he was grateful to be called out as his wife had been entertaining a rather boring group of people. I was offered a bed in the nurses home but had to return to Willow Bay as my spaniel had been left there. On the way home I found a telephone box (yes they were still available then) and called my son in Wellington who agreed to get the first plane in the morning to be with me. He also agreed to call his sister who was in London and tell her. The next morning bright and early I was back at the hospital. The surgeon had examined Robert again and said the only way to find out what was wrong was to operate. I called the phone company to check on progress – none! The cause of Robert’s problem was a ruptured duodenal ulcer (that nobody knew was there) so that was the good news. Other thoughts were unthinkable. But Robert was sick for a long time and kept in a coma for several days. 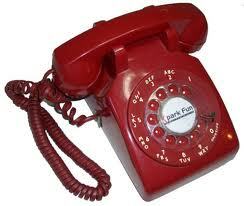 I called the phone company again – no progress although I was on first name terms with the operator at this stage. I used to spend all day sitting with Robert. I learned patience which was positive. I used to call one friend in Wellington using the hospital phone. Still no result from the telephone company. This friend, in turn, called other friends in Wellington to pass on the news. One day I arrived at the hospital and Robert greeted me with the news that our son was in hospital in Wellington having had an appendectomy the night before. Another call to the phone company – I told the operator my tale of woe and he said ‘You really need to speak to my supervisor’ Well, I had tried to on several occasions previously. As soon as the supervisor heard my problem he arranged for a phone connection the next day – but it was a party-line, shared with a couple of other customers. And yes, that’s another story – but at least we had a phone. A pretty scary episode in my life, made more so beca e of lack of ability to communicate with the outside world. It was 25 years ago but I still remember the feeling of being cut off. Needless to say, we didn’t stay there long. After about 9 months we decided to come back to Wellington. Another adventure in this wandering life of mine.